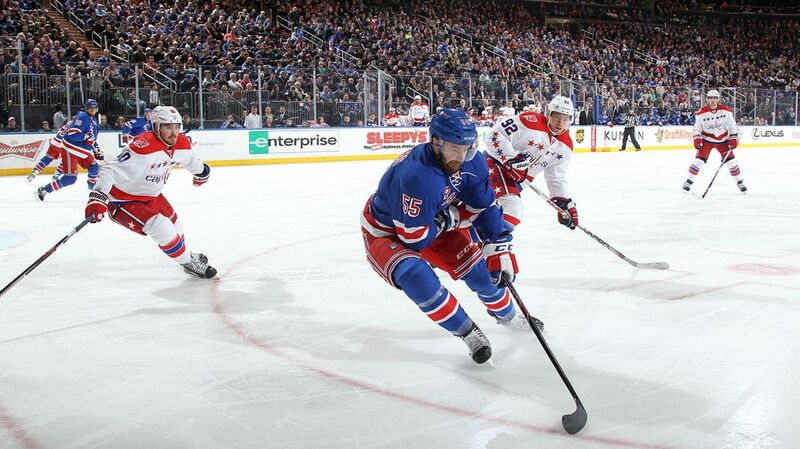 The Rangers fell short yet again, losing a handle of things in the third period due to turnovers and sloppy play. Photo courtesy of MSG Photos. For the first time since January 29th, the Rangers (47-21-7) dropped their second straight game in regulation, losing by a final score of 5-2 to the Washington Capitals (41-25-10), giving the Rangers losses in three of their last four games. The day started out with some surprising news, learning that Matt Hunwick was a late scratch due to an upper body injury sustained in yesterday’s game against the Bruins. As a result, Chris Summers was an emergency call up, and played in his first game as a Ranger. Summers was acquired in the trade that sent Keith Yandle to the Rangers. Despite the score, the Rangers played better than it indicates, at least for the first half of the game, consistently out-chancing the Capitals, but they were undone by a few bad mistakes and sloppy play in their own end. 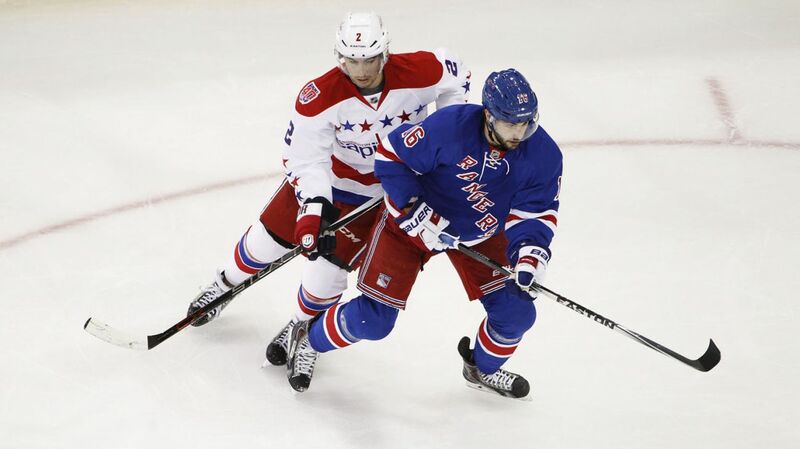 The Capitals capitalized on the few quality chances that they had, and made the Rangers pay. Although the Rangers haven’t been playing great the past few games, it’s not the end of the world. This team still is in the race for the President’s trophy, not far behind, and tonight was the team’s sixth game in the last nine days. There is no need to overreact to a few losses as if this team is falling apart. Going 7-1-2 every 10 games is not sustainable over a whole season. With that being said, the Rangers do need to start playing with a bit more urgency, realizing that if they would like to clinch home ice advantage in the playoffs, they need to keep their foot on the gas pedal. Cam Talbot was back in net for the Rangers, and although he was sharp early, could not come away with a win. Talbot finished with 26 saves on 30 shots, picking up his ninth loss of the season. Cam Talbot started for the Rangers again, but did not have his best performance, allowing four goals on 30 shots against. Photo courtesy of MSG Photos. While it took a few minutes for both teams to get their legs in the opening stages, once they did, it appeared that the Rangers had the advantage in play. They barely missed on quite a few of their chances, and were playing well with the puck. Tanner Glass nearly sniped a wrist shot top shelf, but Holtby’s quick glove snatched it away. Kevin Hayes came close too, but Holtby’s pad did the trick there. Despite the Rangers strong play early, the Capitals found themselves with the first goal of the game. Alex Ovechkin used his strength to blow past Fast, and fired a quick shot through the legs of Dan Girardi and into the back of the net, giving Washington a 1-0 lead. The Rangers would finally get their chances to go in, starting with Kevin Hayes’ 15th goal of the season. John Carlson somehow lost a handle of the puck, and Hayes was there on the forecheck to take the puck away. Hayes made a fantastic move, using his long reach to push the puck past Holtby with just 1:50 remaining in the period. New York would score again in the period, with Derick Brassard netting his 16th of the season with 49 second until intermission. Zuccarello broke up a play in the defensive zone, going on the rush with Brassard. After a bit of back-and-forth passing between the two, Zuccarello made a tremendous pass over to Brassard for a one timer that beat Holtby high, giving New York a 2-1 lead going into the locker room. Derick Brassard scored his 16th goal of the season, giving him 55 points this season. Brassard was one of the few players with a solid game overall. Photo courtesy of MSG Photos. In the second period, the Rangers continued to get more chances, but could not finish, leading to the Capitals scoring again. Alex Ovechkin scored his second of the game, and his 49th of the season on a power play opportunity. His one-timer deflected off of Dan Boyle and past Talbot, tying the game at two. The third was a bit of a mess for the Rangers. After giving up just one 5v5 scoring chance in the first two periods combined, they gave up 10 in the third period alone, victim to turnovers, sloppy play, and no offensive chances. In the third period the Capitals added two more goals, both from Jason Chimera. The first goal was a stuff in following a turnover at the blue line by Keith Yandle, giving the Caps a 3-2 lead just five minutes into the period. The second was off another turnover at the boards, leading to a chance for Chimera alone in front, deking past Talbot for a 4-2 Capitals lead. Marcus Johansson would add an empty netter to seal the victory for Washington. 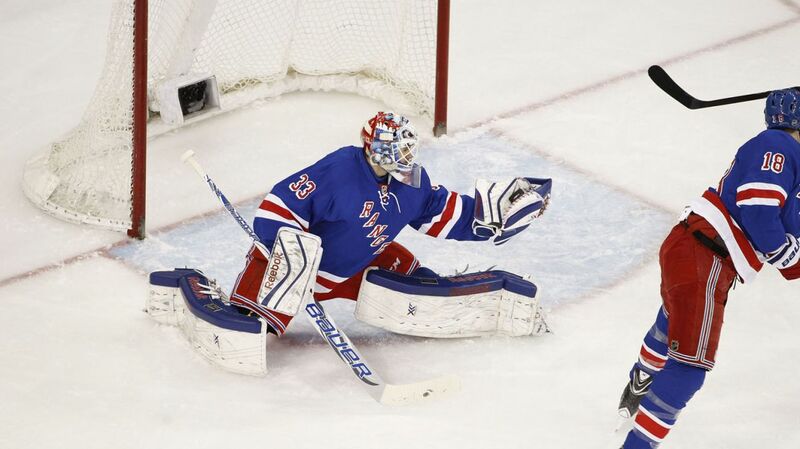 The biggest issue for the Rangers today was the power play. Yet again, they failed completely on the man advantage, despite having a total of five power play chances in the game. They continue to pass up quality shot opportunities, and just aren’t converting. If they put one or two of those in the net, this could be a totally different game. Kevin Hayes continues to impress everyone with his awareness, patience, and incredible skills. His goal was yet another great play to add to this season’s highlight reel, and he has been one of New York’s most consistent players for the past few months now. The Rangers need to start winning games, but it will not get any easier, as they will head to Winnipeg for a tough game on the road on Tuesday. Posted on March 30, 2015, in Game Recaps and tagged Alain Vigneault, Alex Ovechkin, Boston Bruins, Braden Holtby, Cam Talbot, Carl Hagelin, Chris Kreider, Dan Boyle, Dan Girardi, Derek Stepan, Derick Brassard, Dominic Moore, Henrik Lundqvist, James Sheppard, Jesper Fast, JT Miller, Keith Yandle, Kevin Hayes, Kevin Klein, King Henrik, Madison Square Garden, Marc Staal, Martin St. Louis, Mats Zuccarello, Matt Hunwick, MSG, MSL, New York Rangers, NHL, NHL 2014-2015 Season, Nicklas Backstrom, NY Rangers, NYR, Ottawa Senators, Rangers, Rangers Nation, Rangerstown, Rick Nash, Ryan McDonagh, Tanner Glass, The Ranger Zone, Washington Capitals. Bookmark the permalink. Leave a comment.